On Thursday, June 26th, the Dane County (Madison and surrounding suburbs) Board of Supervisors voted to place a nonbinding referendum to raise the minimum wage to $10.10/hr in November. 15 Now and allies packed the house with 50 supporters and argued passionately during the public testimony for the Supervisors to amend the resolution to $15 an hour minimum wage. Joining this demand were members and leaders of local unions like the TAA, AFT 4848, AFSCME (locals 171, 2412, 60), IWW, Green Party, Progressive Dane, 9to5, National Organization of Women, Socialist Alternative and the ISO. 15 Now supporters pointed to the clear data that shows a $10.10 minimum wage, while a welcomed step forward, is still a poverty wage statewide in Wisconsin, not just Madison and Dane County. In 2011,more than 1 in 5 Wisconsin workers held a poverty wage (defined as under $10.97/hour) job. Winning $15 in Wisconsin will take a strong grassroots movement. 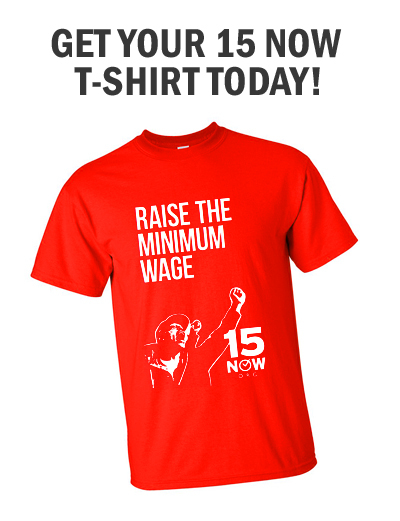 Please donate $15, $25, $50, $100 today to end poverty wages! 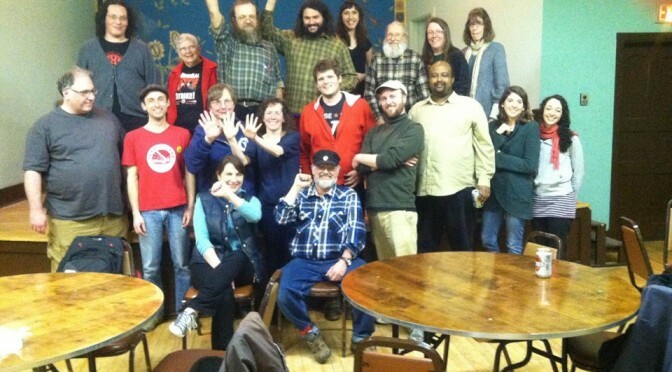 Help us raise $29,000 to hire a full time organizer for Wisconsin. Supporters of $15 minimum wage testified both as activists and from their own personal struggles as low wage workers, as single parents with multiple low wage jobs, as college grads with massive loads of student debt and no real prospect for living wage jobs and much more. We laid out statistics and hard-nosed data that decimated the ridiculous notion that $10.10 an hour is enough to live on. We also pointed out how the Democratic Party at a national level and their candidate for WI Governor, Mary Burke, are backing a $10.10 minimum wage to manage the interests of their corporate paymasters over that of working people because a $10.10 minimum wage is wholly insufficient. Virtually no one spoke against the idea of a $15 wage in principle. Speakers who defended $10.10 restricted their points to questions of strategy. Their arguments focused on the dubious notion that this is a stepping stone to voting for $15 in the future and that this is a state-wide effort and we have to be in line with what’s being put forward in the other counties. 15Now and our allies made a clear impact in moving the debate forward. We spurred Supervisor Al Matano to introduce an amendment for $15, seconded by Sup. Michelle Ritt and voted in favor by several in a voice vote (which made it hard to tell who all voted yes). Sup. John Hendrick introduced another amendment to add a question along lines of asking voters: “Should state of Wisconsin allow Dane County to raise its minimum wage to $15/hr.” Both unfortunately failed, and the measure passed as originally written, but we live to fight another day. We are moving forward from a higher vantage point and will look to build much greater grassroots support and organization in the fight for a $15 minimum wage. The experience confirmed the absolute need to build a strong grassroots movement and not rely on the Democratic Party to represent our interests The inspiring victory of $15 in Seattle shows that we organize – we can win!